Demand response (DR) is on an exciting new journey. While advancements in batteries have reduced costs of electric vehicles which have driven up demand, advancements in the smart home are opening a whole new world for DR beyond HVAC. Right now consumers are investing in the smart home including smart lights, switches, plugs, EV chargers and more. Customers, enticed by the smart home’s many benefits, presents an amazing opportunity for energy providers to tap into this organically-created network to expand grid assets for demand management. AEP Ohio is one of Powerley’s forward-looking partners that sees the immense potential of DR beyond the thermostat, getting behind the meter and developing a path to manage demand across all of a home’s connected devices. Customer engagement, increased energy efficiency, peak demand reduction – the smart home is driving an array of benefits for utilities and customers. Standing at the frontlines of this innovation, is AEP Ohio’s IT’S YOUR POWER program, in partnership with Powerley. Together, we developed and delivered IT’S YOUR POWER – a full Home Energy Management system that connects the smart grid to the smart home. 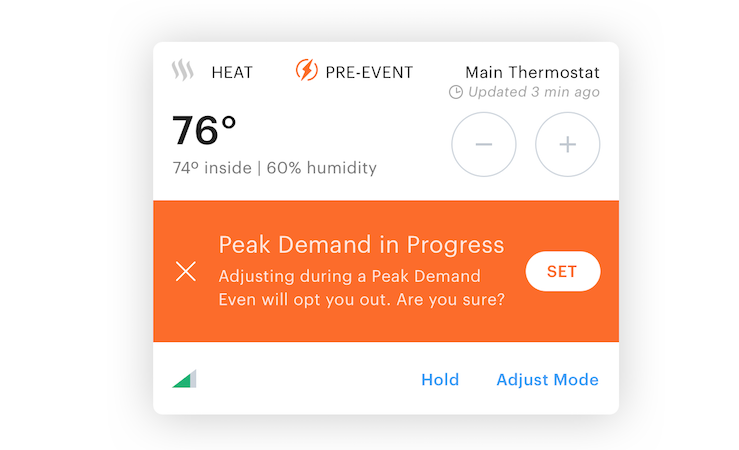 Finally, it is possible for consumers in and around the Columbus area to monitor and manage their home energy consumption and smart home in a single app, while getting more insight into the usage of individual appliances in the home. 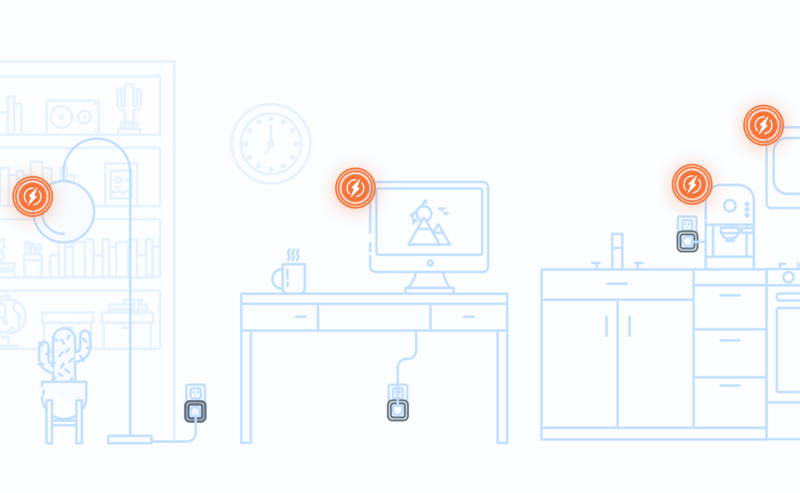 Yet, the opportunity from a Home Energy Management platform doesn’t stop there. Like usual, the high summer temperatures drove up air conditioner usage all over the state of Ohio this past summer. But with IT’S YOUR POWER, AEP Ohio was able to implement a customer-friendly Demand Response experience – pushing forward to create a self-sustaining path that expands the potential for DR.
Like many other DR programs, the IT’S YOUR POWER app notifies customers of an upcoming DR event, giving them a choice to participate each time. This allows them to only participate in events that will have little to no disruption on their routine and be aware when the event is happening. To make it even more worthwhile for a customer to participate, AEP Ohio incentivizes customers with a $20 reward that goes toward the IT’S YOUR POWER Shop Smart Devices store to spend on a smart device of their choosing after completing at least 10 DR events. This is not only beneficial for the consumer, but also for AEP Ohio. 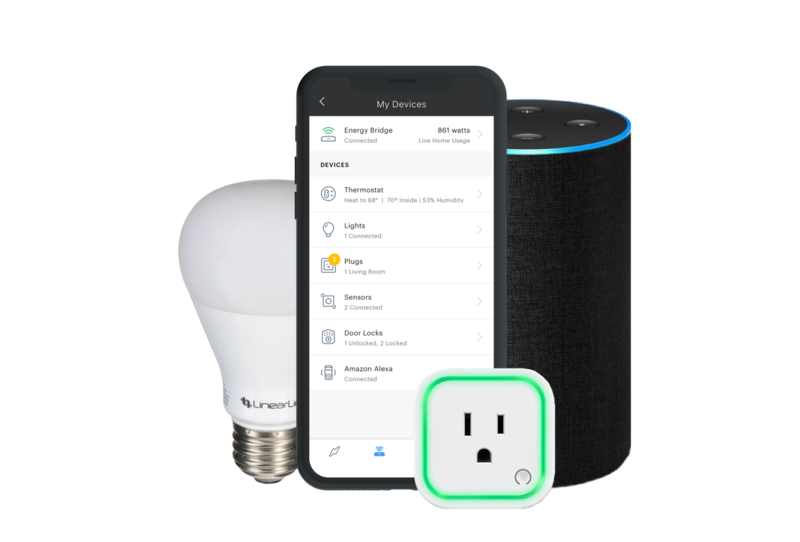 Tapping into customers’ inherent motivation to expand their smart home, Powerley and AEP Ohio are increasing grid assets for DR through this incentive program. 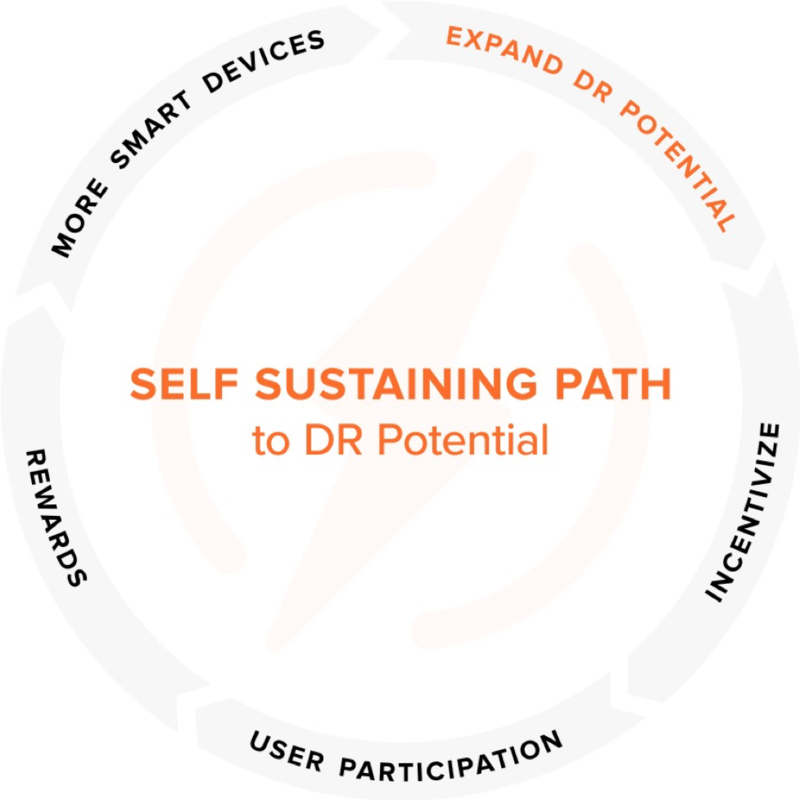 It is a self-sustaining circle where customers are incentivized to participate in more DR events, get rewarded, and then buy more smart devices (like plugs, lights, load controllers and more). With this, consumers further build up their smart home through a utility-provided offering and simultaneously are adding devices that expand their DR potential. 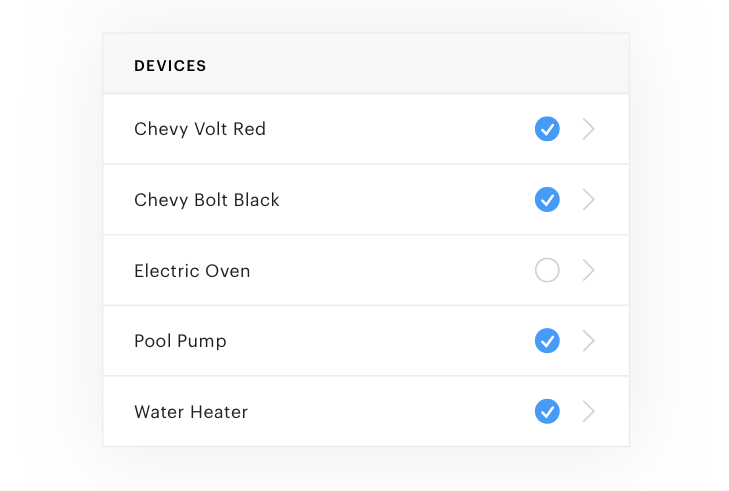 In 2019, the IT’S YOUR POWER app will expand beyond thermostats to offer demand response on all connected devices that are controlling electric vehicles, pool pumps, and other large-consuming electric appliances in the house. In addition to opting into the event, the user can choose specific appliances they want to include or exclude in the event, further empowering customer choice and make them a part of AEP Ohio’s peak demand reduction efforts. Updates on the current status of a DR event will keep consumers feeling informed and in control. Overall, the expansive network of smart devices that customers are creating is building an infrastructure for incredible demand response opportunities for utilities all over the country and even the world. To truly tap into that potential, utilities can create programs that support customers’ excitement over their burgeoning smart home and put them on a track to keep growing it while reducing kW during peak demand.